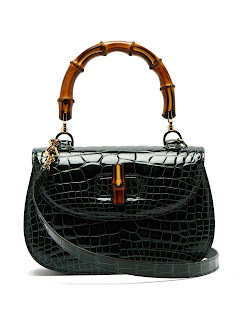 I've been eyeing a small Gucci bag for a few months now but on my normal shopping runs to Forever 21 I came across the cutest bamboo handle satchel. Little did I know it was a Gucci Look for Less. 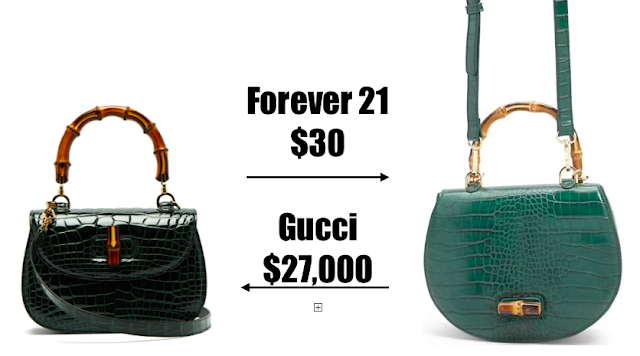 From my research the Gucci version was well over $20,000. 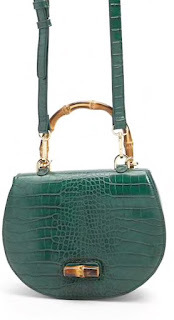 Which is WAY over a frugal shopaholics budget and probably has a lot to do with it being croc skin. The Forever 21 version is only $30. Self explanatory, a must have.